Entry is only open to Australian (excluding ACT) and New Zealand residents aged 18 years or over. Employees (and their immediate families) of the Promoter, partners of the Promoter (both official and unofficial) and all other agencies associated with this promotion are ineligible to enter. Immediate family means any of the following: spouse, ex-spouse, de-facto spouse, child or step-child (whether natural or by adoption), parent, step-parent, grandparent, step-grandparent, uncle, aunt, niece, nephew, brother, sister, step-brother, step-sister or 1st cousin. Promotion commences at 9:00am AEDST on 01/02/2019 and ends at 11:59pm AEDST on 24/03/2019 (“Promotional Period”). 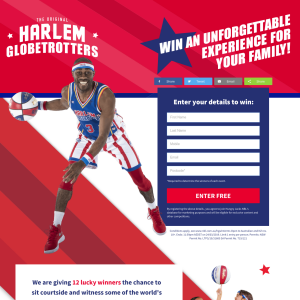 To enter, individuals must, during the Promotional Period, visit www.nbl.com.au/hgwin, follow the prompts to the promotion entry page, input the requested details (including their full name, email address, telephone number and postcode) and submit the fully completed entry form.